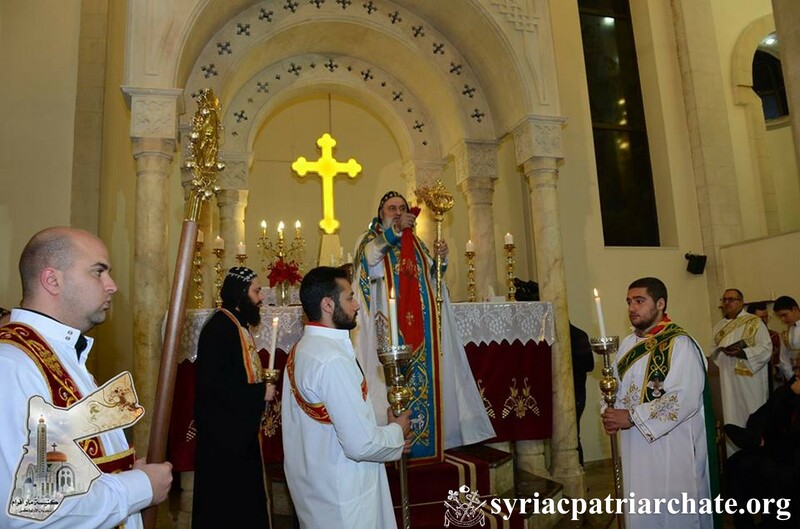 On January 18, 2019, His Holiness Patriarch Mor Ignatius Aphrem II celebrated the Holy Qurobo at St. Ephrem Cathedral in Al Swaifyeh, Jordan. 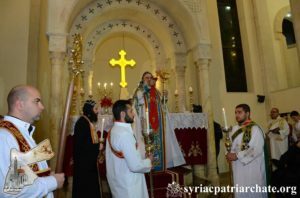 He was assisted by their Eminences: Mor Athanasius Touma Dakama, Patriarchal Vicar in the United Kingdom, and Mor Timotheos Matta Al-Khoury, Patriarchal Vicar in the Patriarchal Archdiocese of Damascus, in the presence of His Eminence Mor Severius Hawa, Archbishop of Baghdad and Basra. His Beatitude Fouad Twal, Emeritus Archbishop and Patriarch of the Latin Patriarchate of Jerusalem, as well as Archbishops and representatives of the various local churches in Jordan, attended the Holy Qurobo. In his sermon, His Holiness thanked the Lord God Who gave him the opportunity to visit his spiritual children in Jordan, and witness their sincere faith and great love, which they inherited from their forefathers, who arrived to Jordan after the genocides. His Holiness praised the efforts of the parishioners in Jordan, who built for themselves a Cathedral and are now inaugurating St. Mark Center. His Holiness prayed the Lord to keep them and provide them with health and success, and to bless Jordan, that it remains a country where citizens of all denominations can live with harmony. His Holiness also welcomed His Beatitude Patriarch Twal, and all the archbishops and clergy present in the Church. He also spoke about the baptism of our Lord Jesus Christ, emphasizing the fact that the Holy Trinity was revealed on the Jordan river as One True God. His Holiness also invited the faithful to recall their baptismal vows and be aware of the fact that their baptism is for salvation, not repentance as was John’s baptism. He considered that in baptism, we die with Christ to be risen with Him, and be reborn with a new nature similar to that of Adam before sin.